Having trouble with the search function? Here are a few tips! There are two separate search functions on the website. This function allows you to search the text of the individual pages on the website. 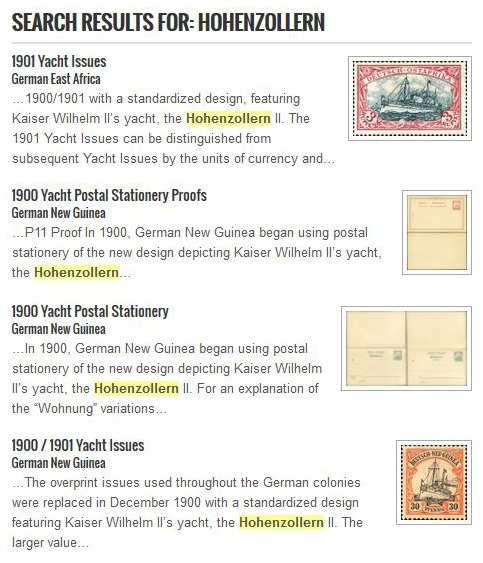 Any search terms entered will be highlighted in the results, and for pages that contain stamp galleries, a sample stamp from the page will be shown. Include holes in the collection — if checked, the search this will include stamps for which there is a space, but no stamp in the collection. 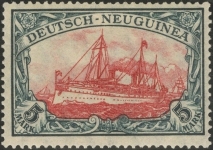 These stamps are shown in the gallery with a gray box placeholder. This option is useful if attempting to identify a particular stamp (for example, a 5 Pf green stamp), as it will list all entries regardless of whether they are in the collection or not. One significant limitation, however — this will only list holes for which the gallery page has been built (those issues which are not grayed-out in the dropdown menu). There are several collecting areas or stamp sets for which there is not currently a page built on the website, either because there are none of those issues in the collection yet, or because the website will forever be a work in progress. These are the areas that are grayed-out on the dropdown menu. Until the pages are built, there are no entries in the database for those issues, so they will not be returned in any search. Collecting Area — typically, the country or area of issue. The options in this dropdown box are pulled from the database, so if a country or area’s not listed, there are not yet any entries in the collection from that country/area. Catalog Number — this option will search the collection for a specific number or character in any of the catalogs used (Michel, Scott, Borek, etc.). This can be very broad — for example, a search for “1” will return not just those entries cataloged as Michel 1, but also 15, 71, P10, etc. It would also return entries where the Michel number doesn’t contain a “1”, but some other catalog number does (ex. 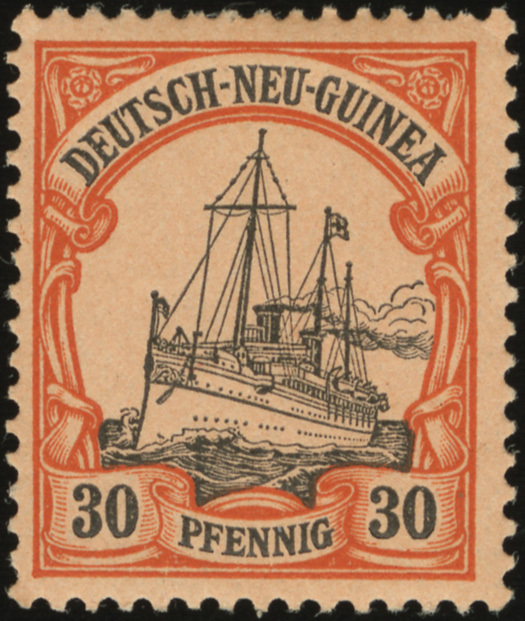 German New Guinea Michel PP2, which is also Borek 2/01). Year — this is typically the year of issue of a stamp. In the case of used stamps, the year is typically still the issue date, not the year of actual use. An exception to this general rule is made for the occasional cover for which the unique usage is the reason for including it in the collection — for example, Tauchbootbrief envelopes. The options in this dropdown box are pulled from the database, so if a year is not listed, there are not yet any entries in the collection from that year. Color — This is the general color family (ex. blue, green, etc.) of a stamp. Note that the mere presence of two colors on a stamps doesn’t warrant a “Multi” classification. The dominant color is used unless there is no dominant color, in which case “Multi” is used. For colors that aren’t easily categorized, the base color from Michel is typically used (ex., reddish-brown is considered “Brown”). Face value — the face value of the stamp. 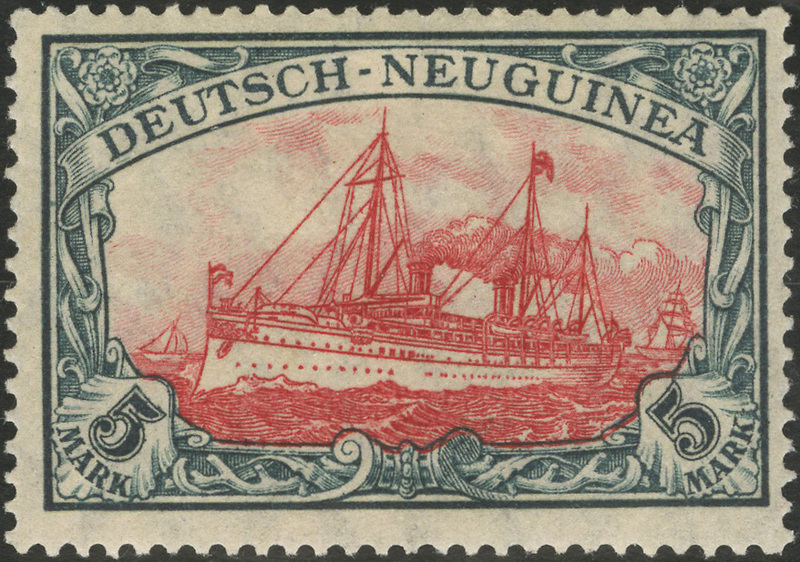 For surcharged overprints, the value is given as new-on-old (ex. 2 P on 3 Pf). For covers with multiple stamps used, the total face value is typically used. For a list of abbreviations used, hover the cursor over the blue question mark icon to the left of the “Face Value” dropdown. Keyword — as each stamp is entered into the database, a list of keywords is entered as well. This field allows for a keyword search across the entire database. Partial strings may be used (ex. “car” will return not only stamps with cars or train cars on them, but also every postcard in the collection). If using multiple keywords, they are treated as AND, not OR, so both must be present to return a result.